Georgina is an International Iridology Practitioners Association Certified Instructor. 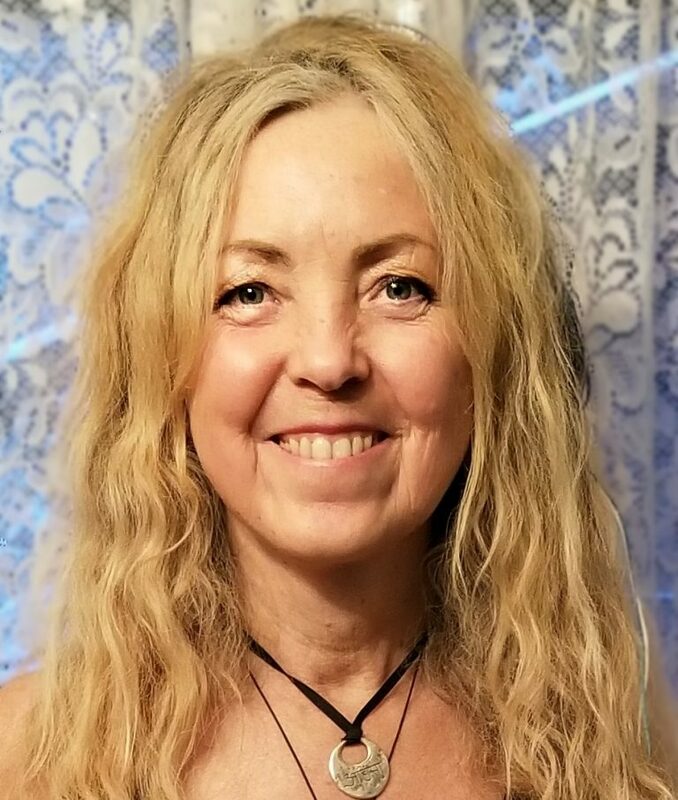 She teaches Iridology Courses for Langara College in Vancouver, British Columbia, Canada, and on Vancouver Island at Windsong School of Healing. She has also taught Iridology to Naturopaths for Wellness Centers such as Verita Advanced Wellness Center in Singapore. She continues to teach at various Colleges and Schools. Based in Port Alberni, on Vancouver Island, BC, Canada, Georgina has a private practice as a Herbalist, Iridologist, and Natural Health Consultant. Georgina uses many tools and therapies for helping people and animals. Through incorporating Iridology, Homeopathy, Nutritional Healing, Lymphatic Drainage, Vibrational Healing with Tuning Forks and Sounds, as well as Energy Healing into her work, she became interested in teaching students how to help themselves as well as how to help others. Georgina began studying Iridology with Dr. Ellen Tart-Jensen, and studied with fellow International Iridology Practitioners Association (IIPA) instructors, such as Micki Jones, and Alicia Rocco. She became an IIPA Iridology Instructor in 1996, and served on the IIPA Board of Directors and was the Administrator for IIPA Student Services for several years. Georgina has taught many courses on natural health and healing: Some of which include, Herbs from the Kitchen, and Natural Management of Pain and Inflammation as well as Identifying Edible and Medicinal Plants of the Northwest on and off since 1997. Georgina also presents lectures on breast health and prostate health for specific local groups.Georgina offers courses and classes and Sharings on various healing modalities at local group meetings via a meetup called “Healing Naturally, Body Mind and Spirit”. Herbalist – Dominion Herbal College. Nutritional Consultant- Living Waters Wellness Center, Sacramento California. Community Futures Port Alberni B.C.